Patrick Comerford: Did John Cruce ever cruise through the ‘Siege of Venice’? through the ‘Siege of Venice’? I was wondering earlier this week whether there was any connection between Portobello, Rialto and the Grand Canal in Dublin with Rialto and the Grand Canal in Venice. And as I found myself on the train between Limerick Junction and Ennis yesterday, on my way back from Dublin, I wondered in a whimsical sort of way whether there is any link between Ennis and Venice. 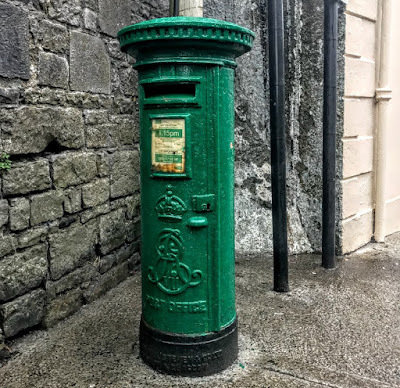 Ennis in Co Clare was voted the ‘Friendliest Town in Ireland.’ But Ennis is also famous for the ‘Siege of Ennis.’ However, if you think that was a battle you would be mistaken. Historians are familiar with both the Siege of Derry and the Siege of Limerick during the Williamite Wars. But to say there was a Siege of Ennis in the 1680s or the 1690s would be to mispresent history, I think. Like the ‘Walls of Limerick,’ the ‘Siege of Ennis’ is a ceilidh favourite and one of the finest jigs in Irish dancing. These mispronunciations may also help explain why Cruise’s Pub in Ennis takes its name from someone called Cruce. The Annals of the Four Masters record that in the year 1584 the name of the sheriff of Co Clare was named Cruice. John Reagh MacNamara of Rossroe, who died in 1613, was survived by his widow whose name was Margaret Crues. 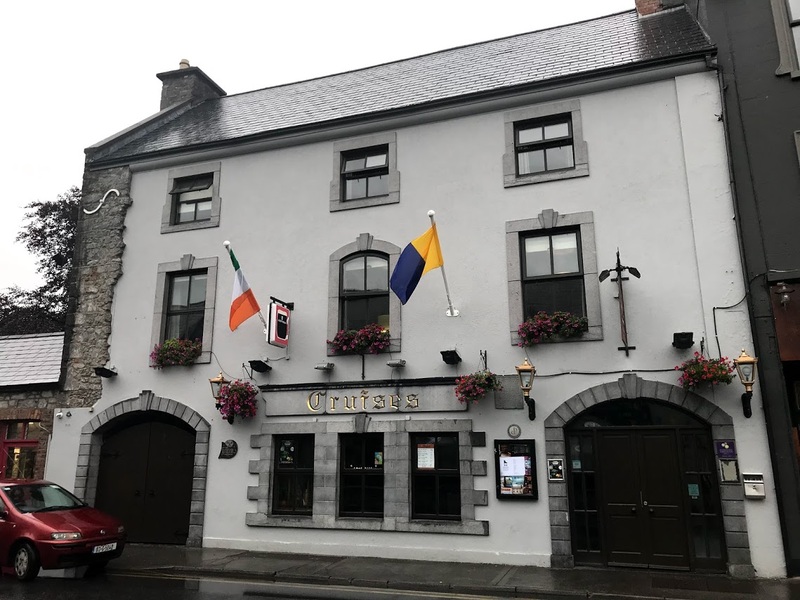 But neither of these helps me to identify the John Cruce who built the house that is now Cruise’s Pub, that is part of the Queen’s Hotel in Ennis. Although somewhat modernised and well maintained, this building dates from the 17th century. The exposed stonework on the left indicates how it looked originally. I wonder did he ever dance the ‘Siege of Ennis’ – or even cruise through the ‘Siege of Venice’?